The Shop Local program is designed to encourage Blue Mountains' locals to shop within their local community or at the very least within the Blue Mountains region. First, you need to create your Shop Local listing. You can update that as often as you like. 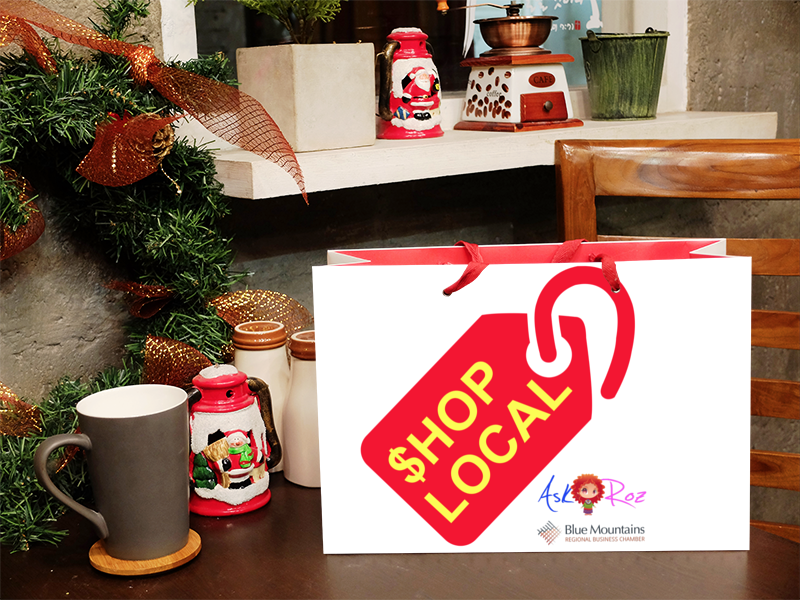 Once created, local shoppers using the free Ask Roz Blue Mountains app, will simply click the "Shop Local" button and they'll be instantly shown all participating businesses around them. Alternately, they could do an "advanced" search and locate a participating business in another location in the Blue Mountains. The app user can open any listing that appeals to them and take immediate action to visit, call or follow links on line to make a purchase. They'll even be given turn by turn voice directions to find you. The Shop Local program will reach customers nearby, while they're are out & about. Ask Roz was established in 2013 with the objective of empowering people to find great things to see and do. In addition to the Ask Roz website, there are also Ask Roz mobile apps in the Blue Mountains, Central Coast, Newcastle & the Hunter Valley. Grow your business by rewarding your clients.